During His ministry on earth, Jesus repeatedly talked about, explained, and defined the kingdom of God. When He announced that the kingdom was at hand, it was the turning point in human history. But what did He mean? And how does it apply to our families and our communities today? What are the signs of the kingdom of God? How do we walk in and access this kingdom? How do we live in this kingdom? How do we operate in the power and the authority of this kingdom? Baptist, and it is still advancing today! 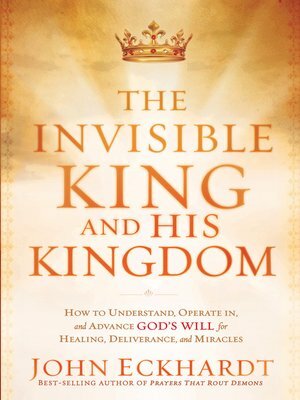 Discover how to seize the kingdom for healing, deliverance, and faith and how to demonstrate authority over the powers of darkness.